In 2008, a salesman named Travis Alexander was killed by his ex-girlfriend, Jodi Arias. This photo of him was taken in the shower, at 5:29 p.m. on the day of his death. His lifeless body was later discovered on the bathroom floor in that same room, after he had been stabbed and shot. 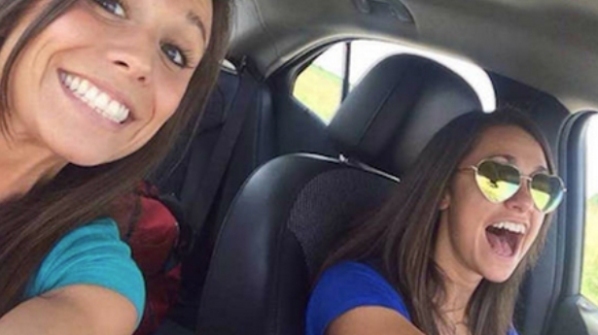 These two happy ladies, Collette Moreno (left) and Ashley Theobald (right), were on their way to Collette’s bachelorette party in Missouri when they snapped this car selfie. The women were in a head-on collision just moments later, and Collette didn’t survive. She suffered fatal injuries from the crash and was pronounced dead at the hospital. 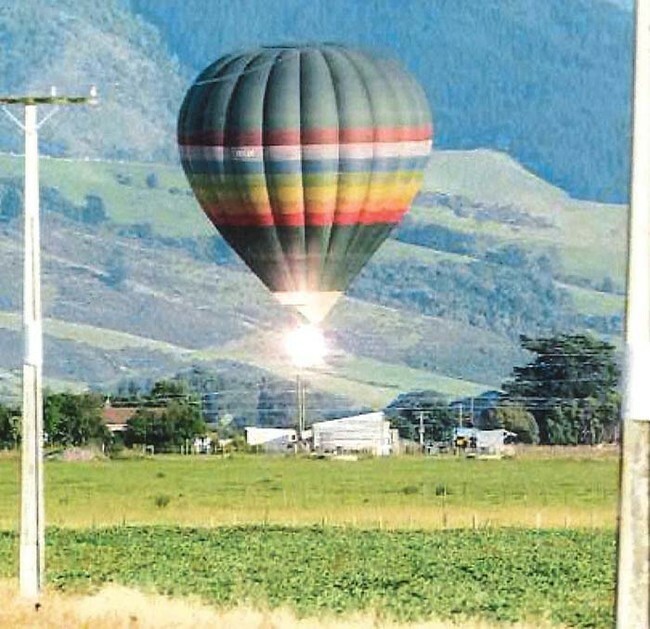 On January 7th 2012, a hot air balloon struck a high voltage power line, and violently caught fire as it was attempting to land. It crashed just north of New Zealand town, Caterton, killing 10 passengers and 1 pilot aboard. It was the deadliest air disaster to occur in New Zealand since 1963. 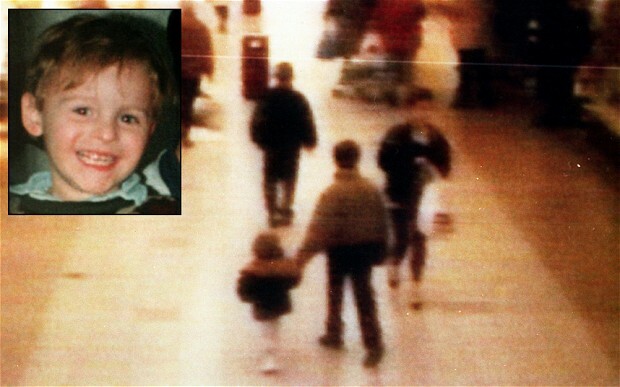 An innocent young boy named James Bulger was abducted, tortured and murdered by two ten-year-old boys in England in 1993. Taken from a local shopping center, his abduction was captured in this surveillance footage. 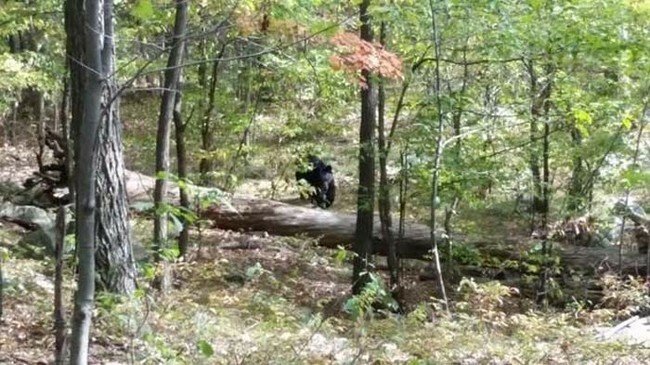 A hiker named Darsh Patel was killed by a bear while hiking through New Jersey woods in 2014. He managed to capture images of this 300-pound animal right before it gored him to death. Patel’s phone was later recovered, although quite noticeably, with the bear’s teeth marks in it. David Sanders was a teacher at Columbine High School during the 1999 massacre, carried out by two unhinged seniors. 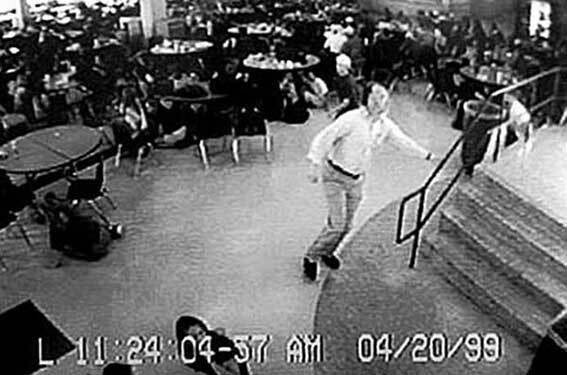 Photographed is Sanders as he warns students in the cafeteria that there were gunmen on the loose. After this image was captured, he ran into the hallway where he was gunned down by the psychopaths. 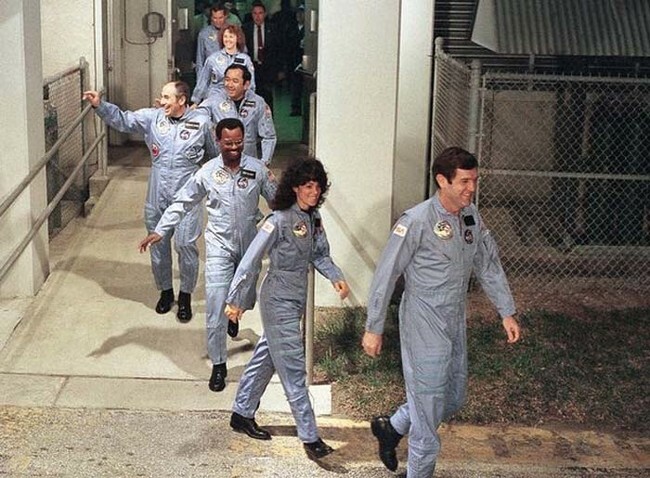 In 1986, the NASA Space Shuttle orbiter Challenger broke apart just 73 seconds after launch. All seven crew members were killed. Here they are as they jubilantly prepare to board the craft just hours earlier. Filipino politician Reynaldo Dagsa was assassinated on New Year’s Day 2011. 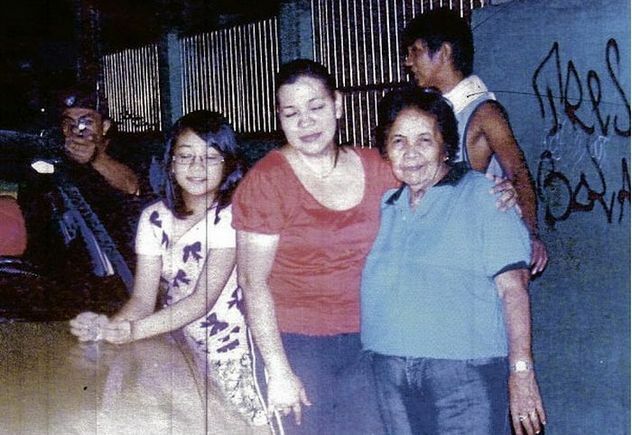 As you can see, he actually captured a photo of his killer when he took this photo of his wife, daughter, and mother. The assassin is already aiming at Dagsa. This photo provided valuable evidence in the murder trial. 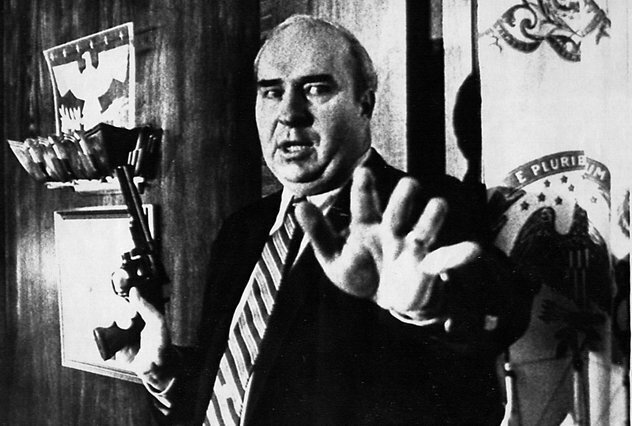 Budd Dwyer was the Treasurer of Pennsylvania during the 1980’s. On January 22, 1987, he called a news conference. To everyone’s surprise, he pulled out a .357 Magnum revolver and shot himself in the head. His suicide was viewed on television sets across the state. This photo was snapped right after Dwyer pulled the gun out. This was the final photograph taken of legendary, Hollywood heartthrob James Dean. 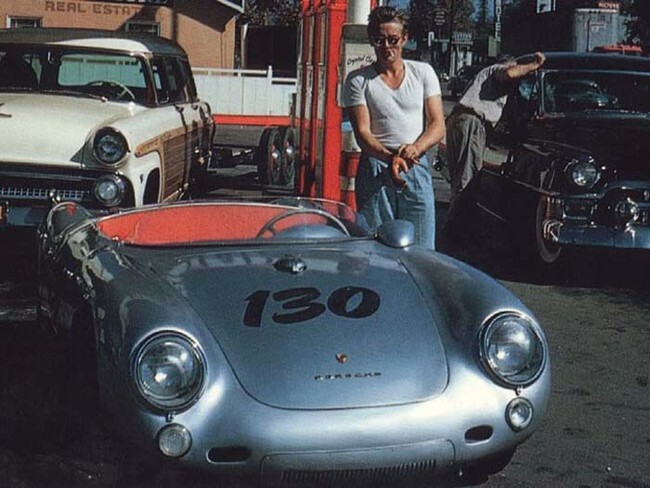 He’s momentarily captured at a gas station with his Porsche 550 Spyder in 1955. This picture was taken just hours before Dean’s fatal car crash in that same car. The totalled automobile mysteriously disappeared in 1960 from a shipment container after being toured as a safe driving presentation. 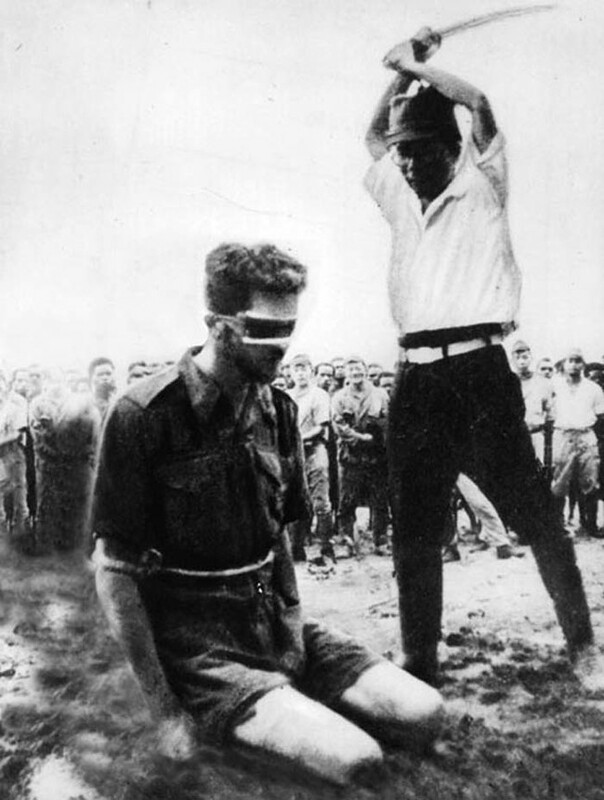 Leonard Siffleet, an Australian soldier during World War II, seconds before he was beheaded by a Japanese soldier. 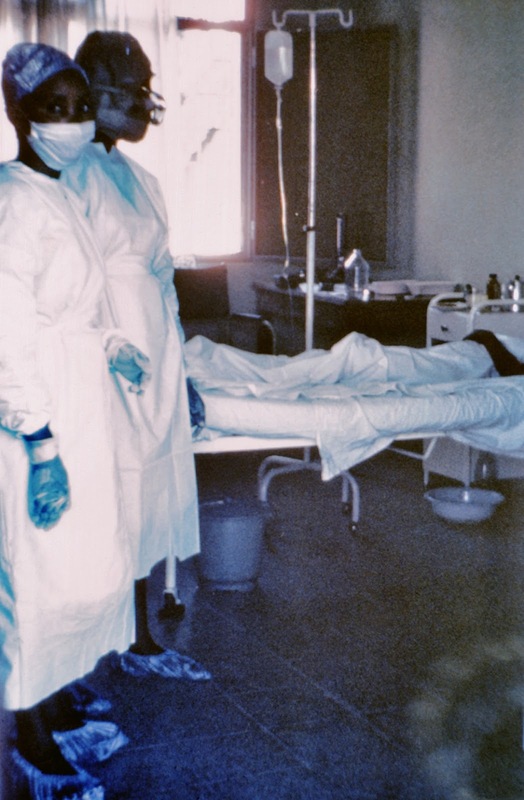 The first outbreak of Ebola, in 1976, killed 280 people. This is a nurse named Mayinga N’Seka, pictured just days before she succumbed to the virus she had helped to fight. 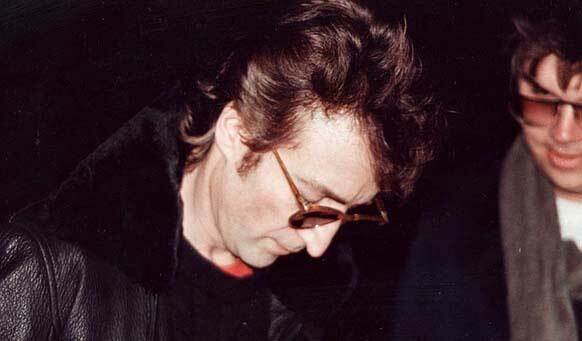 Pictured here is notorious Beatle, John Lennon, as he signs autographs for fans outside of his New York City apartment. The man standing next to him is Mark David Chapman, who shot and killed Lennon just moments after this photo was taken. It is one of the most famous assassinations in human history. 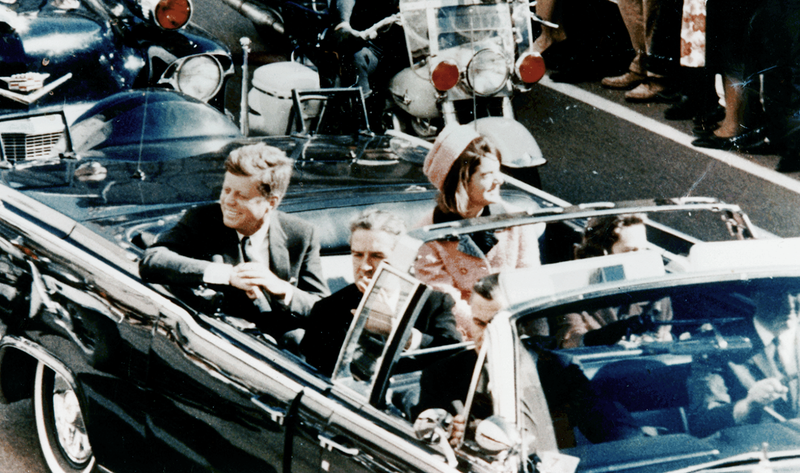 On November 22, 1963, a motorcade was driving President John F. Kennedy and First Lady Jacqueline Kennedy as they were heading through Dallas. This is the final image taken of JFK while he was still alive. He was shot and killed by assassin Harvey Lee Oswald, from a school book depository, just moments later. 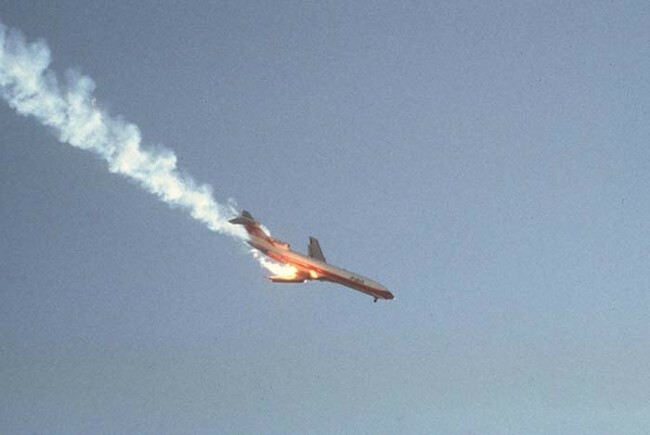 This is the disturbing last photograph of Pacific Southwest Airlines Flight 182. The doomed aircraft collided with another plane over San Diego On September 25th, 1978 at 9 a.m. All 137 passengers aboard were killed, as well as 7 civilians on the ground. 22 homes were destroyed as a result of the impact. 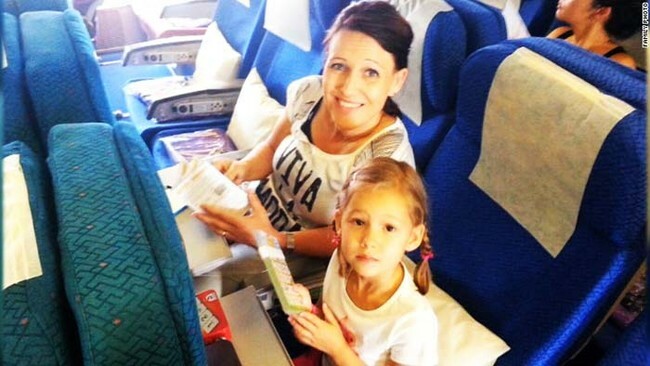 This is a photo that a loving father took of his wife and daughter as they headed towards a vacation. All smiles in the picture, this family has no idea that the MH17 plane they’re on is about to crash over Ukraine, killing everyone aboard. Investigators believe that passengers remained alive and conscious during the 3-to-4-minute plummet from 33,000 feet. A Boeing 707 aircraft that crashed while traveling from New York City to Belgium in 1961 killed 73 people. This tally unfortunately included the entire U.S. figure skating team, which was en route to the World Figure Skating Championships in Prague. Here, the team looks happy to be embarking on their journey. 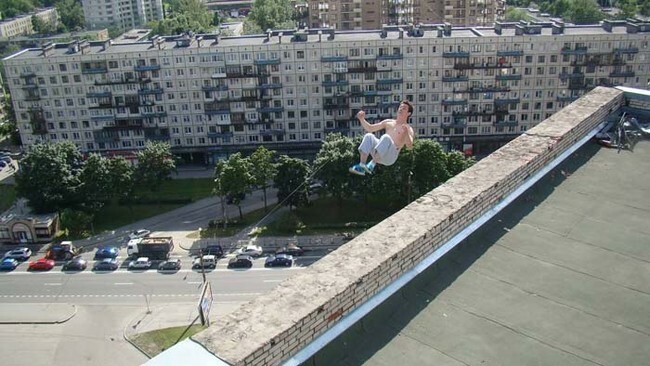 Russian daredevil Pavel Kashin is seen here as he attempts a backflip on a wall next to a 16-story drop. He lost his balance after he landed, and is about to plummet to his death in this photo. This is Gary Slok, at just 15 years old, alongside his mother as they departed for a vacation together. 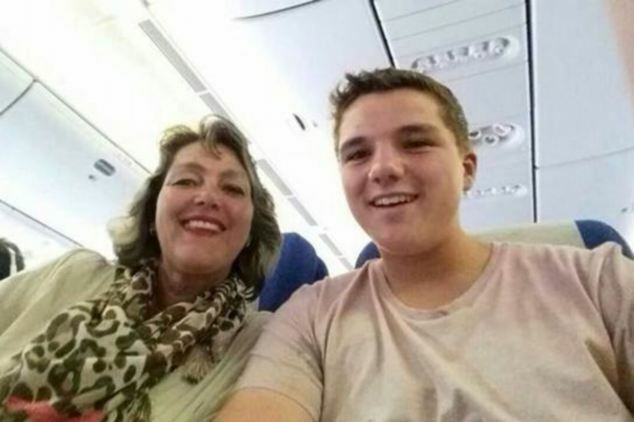 A mere three hours after this beaming selfie, the plane they were traveling on was shot down by a missile. 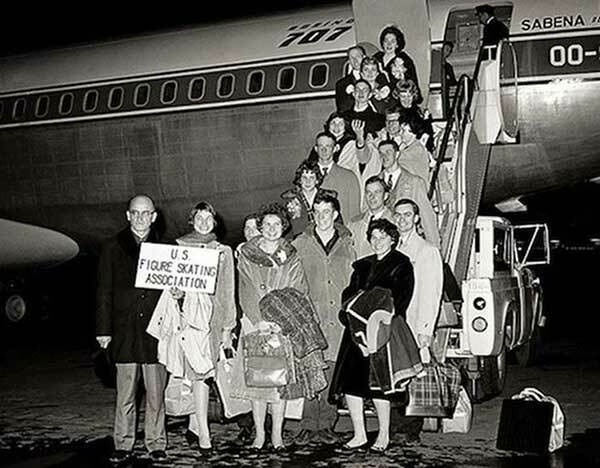 All 296 passengers and crew members perished, including Gary and his mother. Ki-Suk Han, a 58-year-old father and husband, is pictured below just before his untimely death. 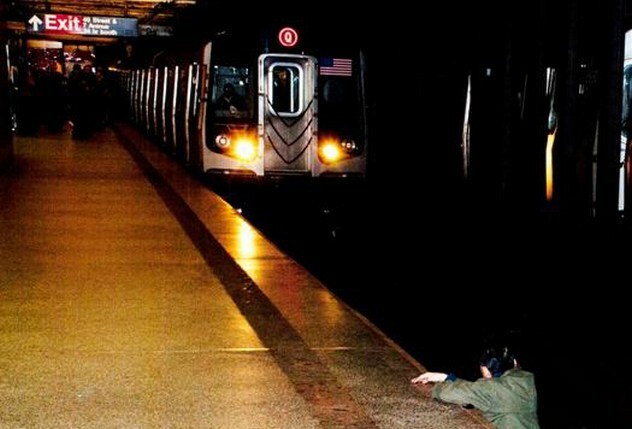 The picture was taken after he had been pushed in front of an oncoming train in the New York City subway. By looking at the photo we can clearly see this poor man’s ill-starred fate. 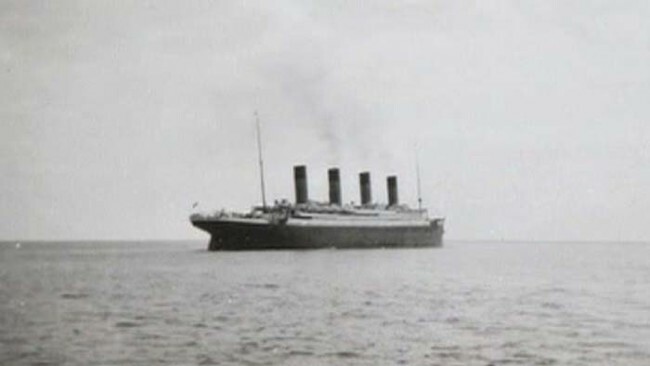 This is the last photo taken of the doomed luxury liner Titanic before she sank in the Atlantic Ocean on April 15, 1912. This is a haunting image of the World Trade Center during a dramatic storm. 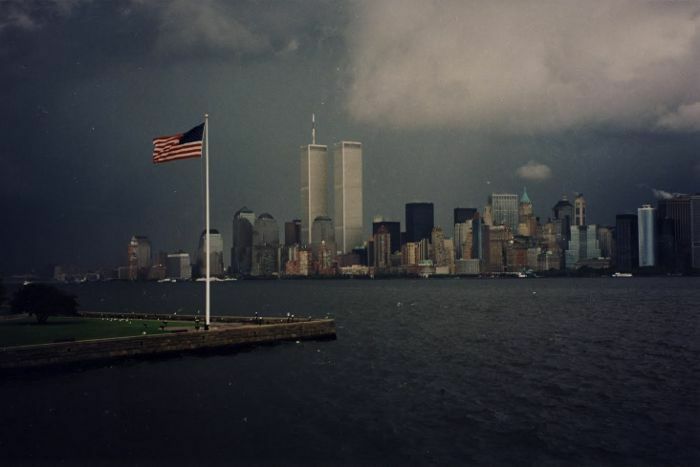 It was snapped on September 10, 2001, one day prior to the 9/11 Attacks. Even amidst the turbulent winds, cracking thunder, and stone-cold rain, the towers stand tall and strong for their final hours. This photo not only serves as a reminder to the American People of September 11th’s events, but symbolizes the strength needed to endure a difficult time. 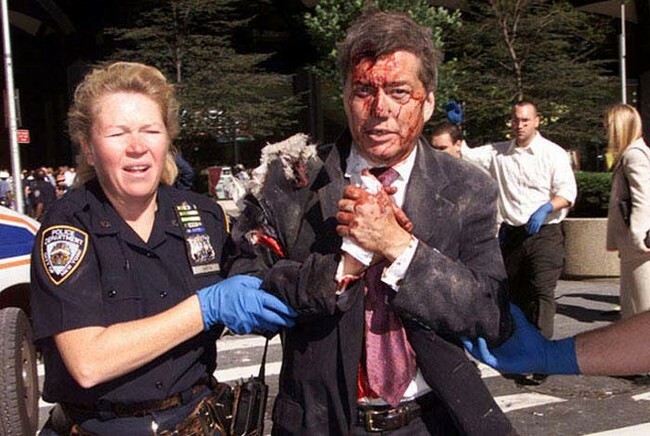 Moira Smith, an NYPD officer, is shown below assisting an injured man away from the World Trade Center just after the 9/11 terror attacks. Minutes later, she rushed into the south tower of the WTC to help evacuate more victims when the building collapsed. She was the only female NYPD officer to be killed in the attacks. 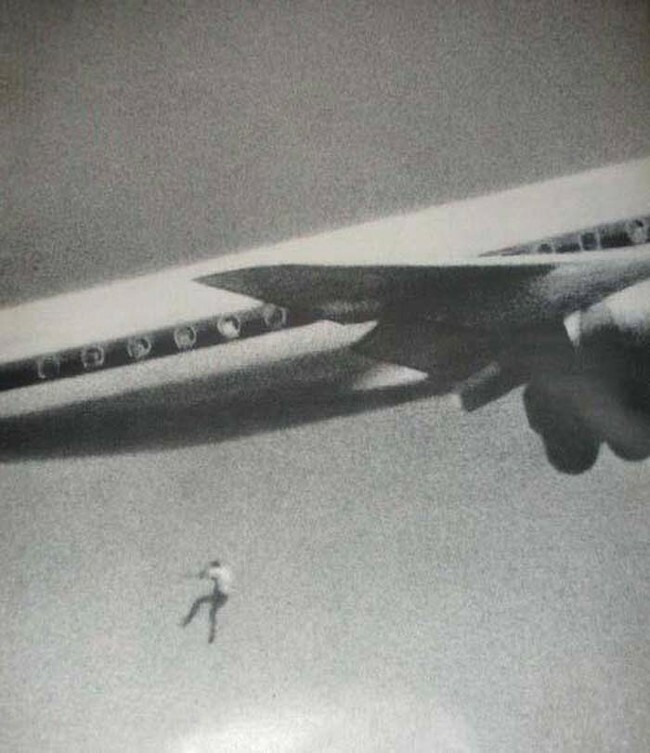 In 1970, 14 year old Australian Keith Sapsford inexplicably hid in the wheel-well of a Japan-bound flight out of Sydney. An amateur photographer testing his new camera lens unintentionally captured the young boy’s free-fall to his death. He dropped an estimated 200 feet until he hit the ground without living to tell the tale. Here’s actor Paul Walker getting into the 2005 Porsche Carrera GT that he ended up dying in just minutes later, after a collision and a fire. This is beyond disgusting. A 14-year old Texas girl named Regina Kay Walters was held hostage by a crazed serial killer, who took photos of her in distress. He eventually killed Walters, after cutting off her hair and dressing her in a black dress and heels. She is clearly terrified here. This is Xenia Ignatyeva. The 17-year old wanted a dramatic selfie, and she got it. 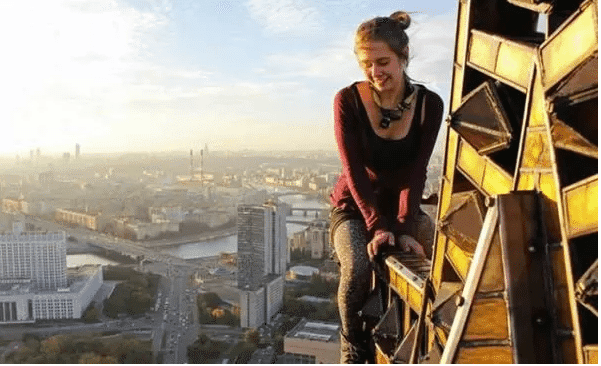 Right after this photo was snapped, she lost her balance and fell to her death.